Module, Japan’s disruptive answer to the present-day inefficiency problems of blockchain Proof-of-Work (PoW) mining, has just released their early sales numbers for their MODL token private presale, and it seems their innovative project is already showing signs of being a popular hit. The company has announced that so far they’ve collected $2 million in the private sale and are well on their way to achieving their soft cap of $5 million. The blockchain world is abuzz recently on how to deal with energy consumption issues related to PoW mining protocols, and Module has come up with an intriguing solution that allows just about anyone to use a powerful asset they carry around with them everywhere, but almost never use: their mobile devices’ storage. Module’s technology will allow anyone to take the unused storage space on their mobile devices and put it to use for mining the new MODL cryptocurrency. Module says they are effectively replacing the old Proof-of-Work (PoW) algorithm with their Proof of Space, Time, and Transaction (PoSTT) algorithm, which will be truly decentralized and available to anyone who wants to participate in crypto mining, regardless of their means. The ideals of crypto have always been about creating a truly democratic, decentralized system that everyone can benefit from equally. Yet, physical constraints, such as energy consumption and hardware purchase and maintenance, get in the way of a truly equitable and decentralized system. Module has solved this problem by developing their mining protocol so that any mobile device owner can use the storage that’s already just sitting there to mine MODL and reap rewards. With mining spread out over millions of devices, energy impact is mitigated, while more people benefit. The company is also developing state-of-the-art P2P cloud-based data storage featuring client-side encryption. The Module system will be built like Ethereum, Stellar and EOS, so it will also enable users to develop Dapps (decentralized applications), as well as create new tokens. They are developing a secret sharing system for decentralized, split data encryption as well. 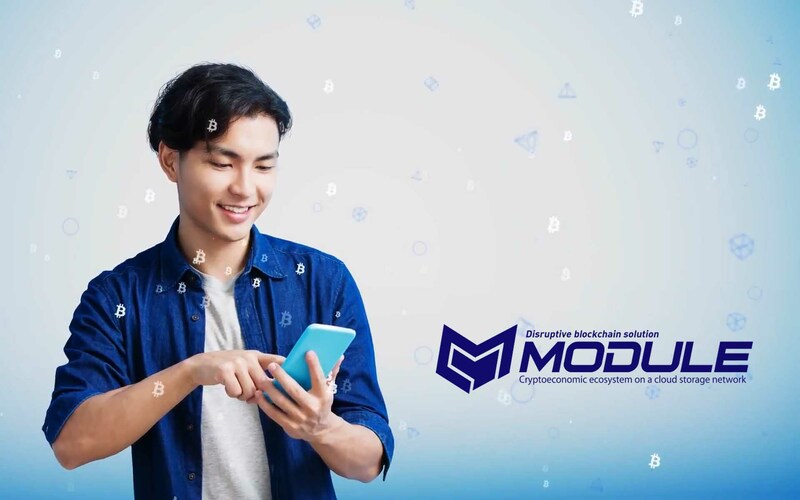 Check out their website for more information at modltoken.io. What are your thoughts the Module project? Is it the solution to inefficient PoW mining? Let us know in the comments below.